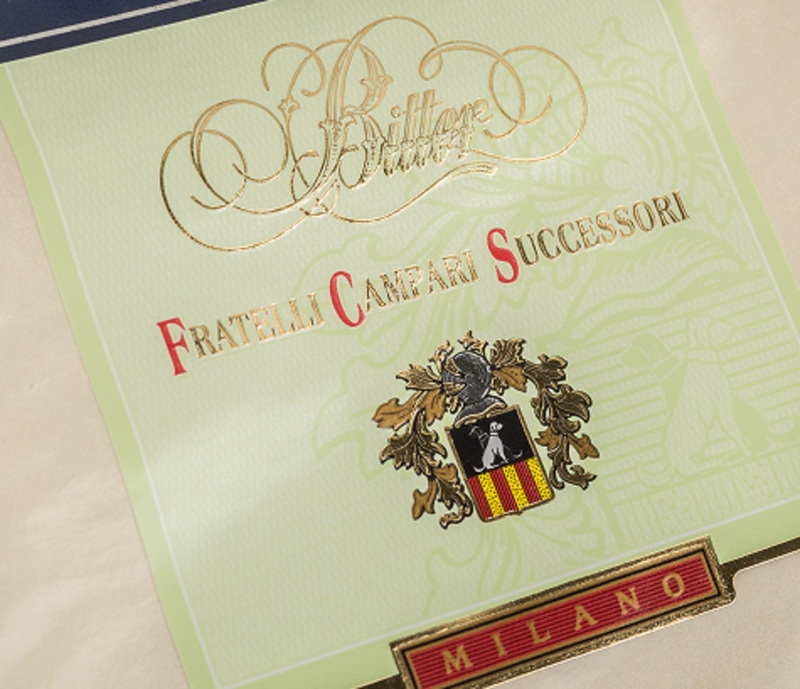 The Cold Foil by OMET delivers precious cost-effective metallic printing effects. The unit slides on rail and can be positioned anywhere along the press. The system grants accurate web tension controls. Cold foil is available also on XFlex X6 with offset groups. 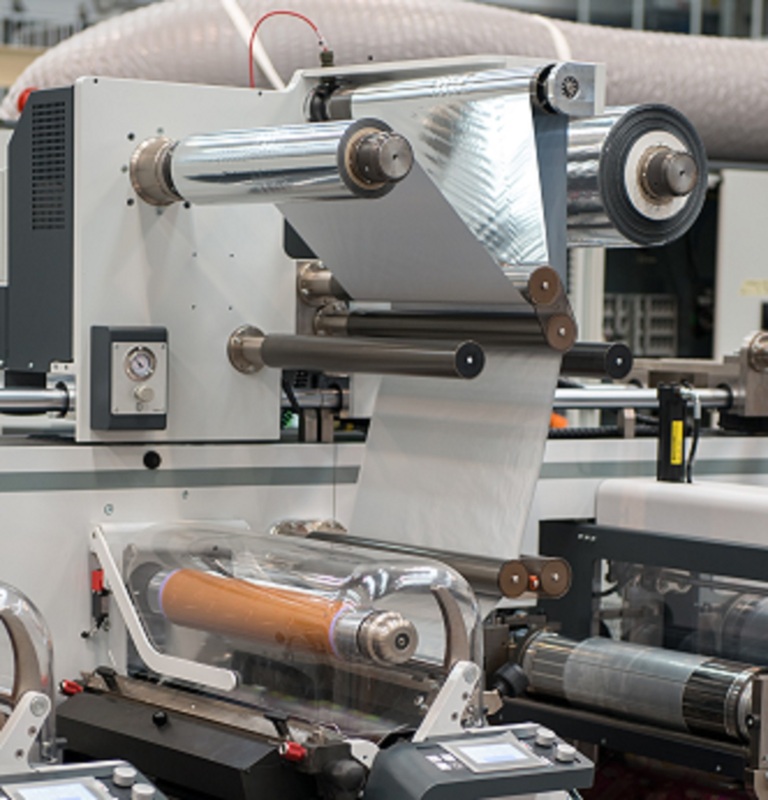 The In-line lamination unit by OMET re-laminates (UV, solvent or water-base) a variety of materials in one pass, reducing dramatically the machine non-operational phases, the waste of printed material or adhesive and the energy consumption. The unit is versatile on many different plastic films. Further advantages derive from a better use of the work area around the machine, a reduced number of operators and from the simple and intuitive system of glue supply. 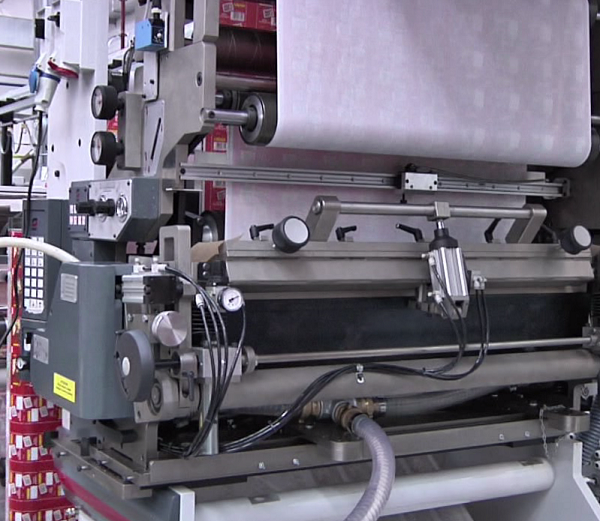 The glue unit (flexo or rotogravure), when there is no need of In-line lamination, is available for printing. 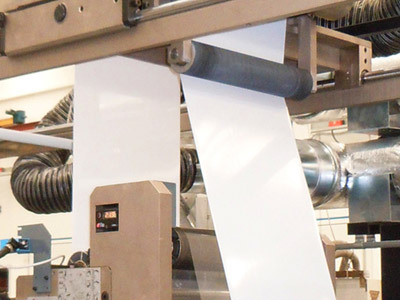 The Hot melt coating by OMET (application of layers or spots of hot glue through a roto cylinder on the back of printed substrates) is realized in one pass thanks to the presence of the In-line lamination unit, thus involving savings of money, waste and human resources. Hot melt is a key element for food industry applications and is mainly used for butter, jam, creams and honey packaging. 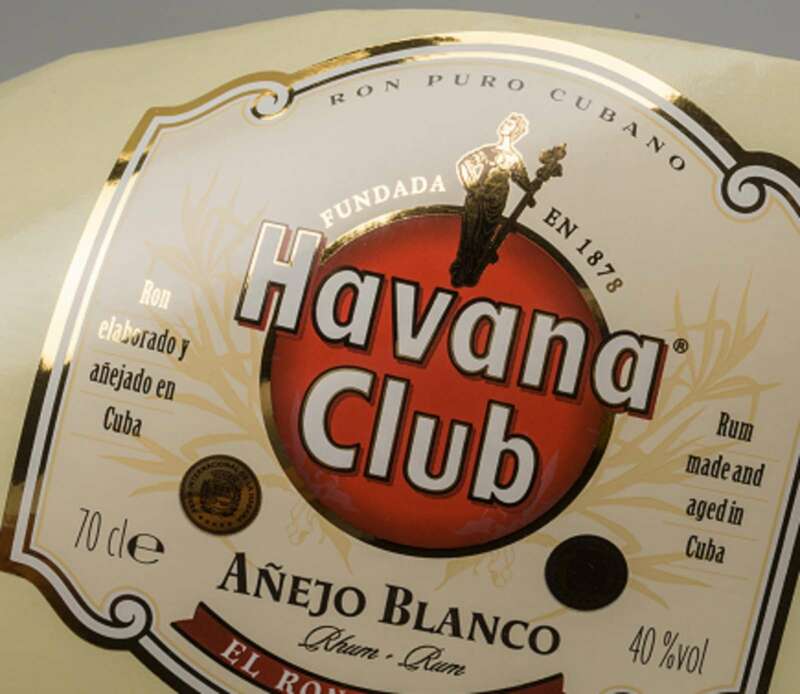 The in-line combination of flexo and rotogravure on OMET hybrid presses allows to print supreme quality jobs and, contemporarily, insert special finishing that would normally require a second pass, thus realizing the dream of executing more packaging processes in one single passage. In-line Cold seal, typical of wide web, is used in the food industry for ice cream, chocolate bars and heat-sensitive food. 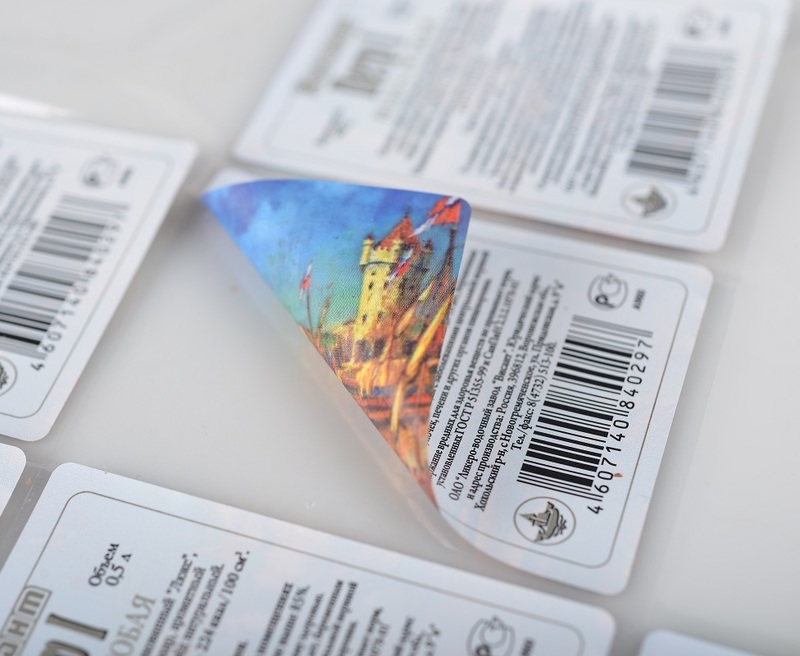 The layer of glue is stuck on the back of the printed film and re-activated during the packaging process. 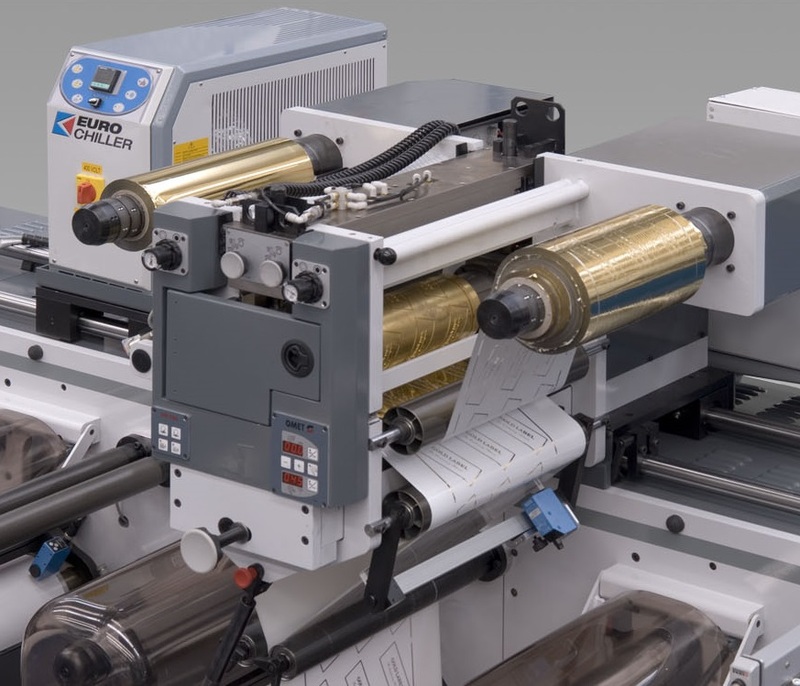 The Hot Foil unit by OMET delivers excellent metallic effects on outstanding labels and packaging, with reduced costs and a special attention to the machine configuration. 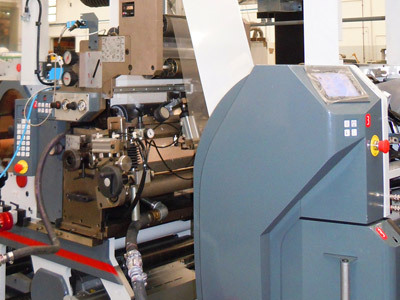 The Hot Foil, in fact, is an independent unit, movable on an overhead sliding rail and positioned anywhere in the printing line as an additional group. The unit is equipped with servo-motors, pre-register function and web tension control. 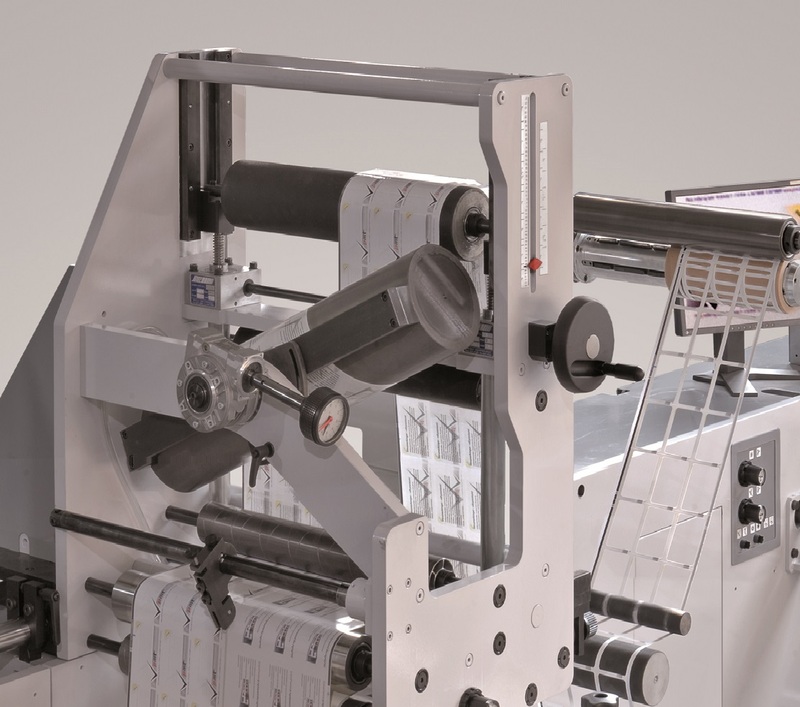 The Peel & Seal unit by OMET produces multi-layer re-sealable labels with up to three layers and 7 printed faces, starting from a self-adhesive roll on any base material including papers and films. Applications include foodstuff, cosmetics, cleansing agents, where information labels are required. 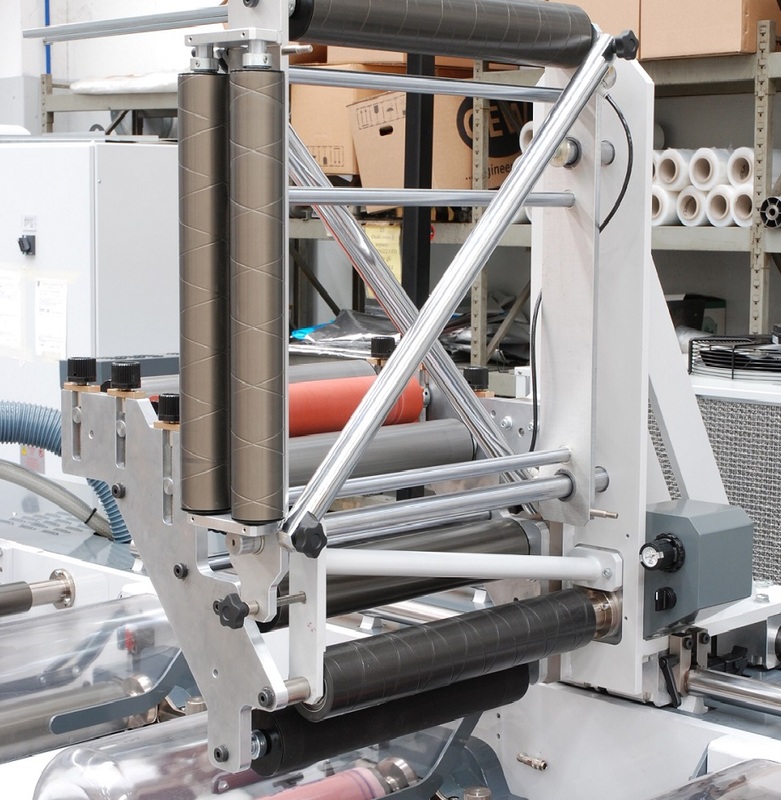 The Peel & Seal unit is user-friendly and its adjustments (web width, alignment and overlapping, print repeats) are quickly performed without tools.